On Sep.11th 2015, UCCTC joint with International Trade Administration (China Team) of U.S. Department of Commerce, and China Association of Environmental Protection Industry (CAEPI) together hosted the Sino-U.S. Environmental Industry CEO B2B Event. The event took place at UCCTC’s Pasadena Greenmaker Co-Work Space. 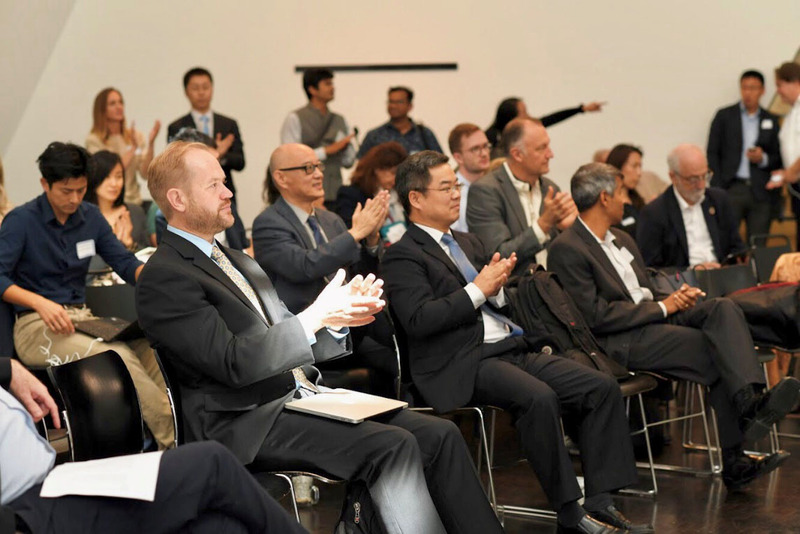 A total of 110 people including 21 U.S. CEOs and 29 Chinese environmental protection enterprises attended the event. Together, they Discussed issues regarding the technological development in the field of air pollution monitoring and control, as well as business prospects for U.S-China cooperation in this field. The event organizers were able to effectively arrange over 220 one-on-one business matchmaking meetings; in addition to the formal business meetings, companies took advantage of lunch and tea breaks to network for in-depth business exchanges. With such high efficient meetings, 6 business deals were made on the day. The event provided an excellent platform and opportunities for companies of both counties, laid a good foundation for future business cooperation, and achieved great success. Prior to this event, environmental entrepreneurs from China also went to Long Beach Port and South Coast Air Quality Management District in Diamond Bar, California for a field trip.